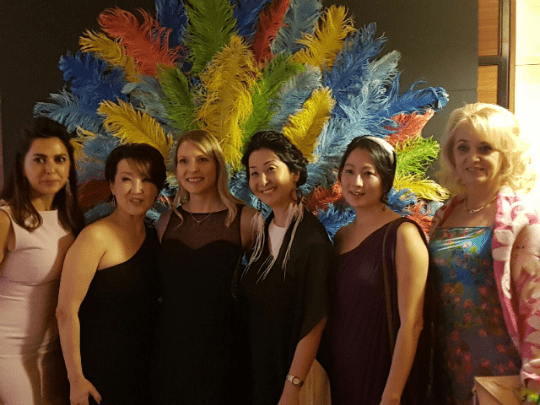 2018 SIWA Gala took place on Saturday April 7 at the Conrad Seoul, where SIWA members enjoyed an evening of exotic cocktails, sumptuous food, dazzling entertainment, raffle prizes, dancing and more at the Carnaval Do Brasil themed Gala including Diplomatic Corps. such as Brazil Amb. Luis Fernando de Andrase Serra & Mme., Azerbaijan Amb. Ramzi Teymurov & Mme. and last but not least Romania Amb. Mihai Ciompec & Mme. as well as SIWA members before the Gala cocktail reception. The SIWA Annual Charity Gala is the second largest fundraising event after the SIWA & Diplomatic Community Bazaar. Net proceeds from the evening will be donated to support local charities in Korea, according to SIWA chairwoman Anne Choe. Asia Community School, established in 2006, is educating 1st-12th grade students. Seventy-three out of 92 students are from multicultural families. The school provides an environment conducive to learning not only about assimilating to Korea but also maintaining individual ethnic identity. The School was one of the grant recipient finalist for SIWA Philanthropy Project. 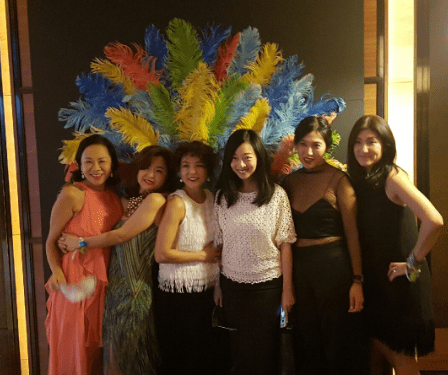 SIWA members corresponding to a group photo before the fullfledged Gala evening. Soyang Children’s Home, founded in 1922, is a loving place for 49 children. The Home is now operated by the grandson of the founder after the passing of the second generation Executive Director. Music and sports are strong components of their care and delivers results in the students’ pursuit of excellence with a majority of them going onto higher education. Emphasis in also placed on preparing them to transition smoothly to independent living. Each year more than 200 youth pass through the programs offered at Seongnam Shelter for Adolescents. It provides much needed guidance and services to young men ages 15-22, who have been either abandoned by their family and/or the State. The Shelter operates in four houses. At the Red House, initial intake interview, therapy and counselling services are conducted. All effort is made to reunite the young men with their family. When that is not an option, older ones are welcomed into the Yellow House and the younger ones into the Brick House. The young men are then either guided toward completing their studies to receive a diploma or placed in work/vocational training; these young men live in the Green House. The Shelter is a place of great hope and dignity. SFS wins 1st Place in all categories of the SIWA Essay Contest!